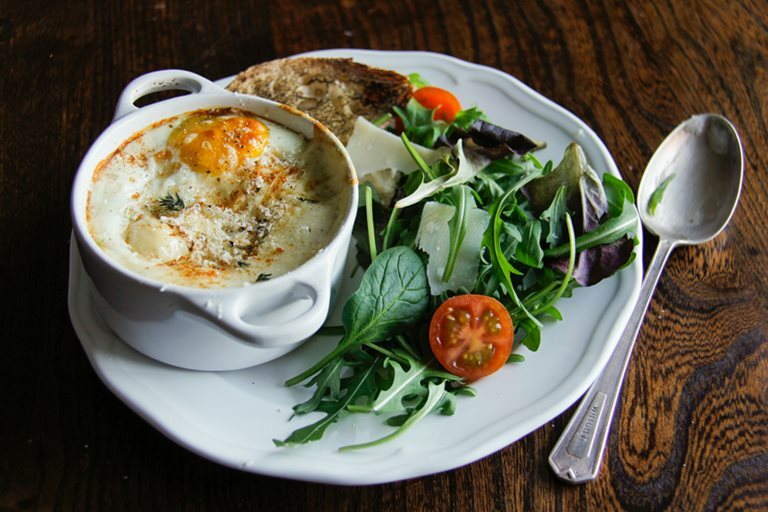 Rosana shows us how to prepare this delicious and versatile baked eggs dish, easy to make and perfect for all the family. Eggs are high in protein, cheap and are quick to cook . 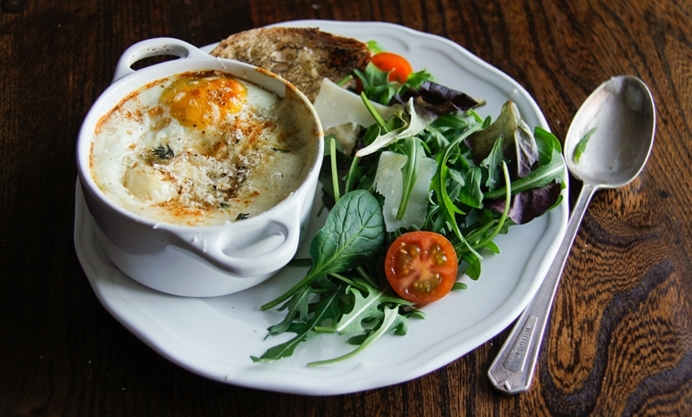 Very versatile, eggs can be the star of a main meal. My mum used to bake them together with leftover vegetables, we called it ‘panelinha’, which means little pan. The outcome was different each time she made it, depending on what we had leftover in the fridge. This dish can however be made with any of your favourite vegetables, so you can design your own signature dish! This is a great dish for thrifty times. Substitute the Parmesan (or omit completely) to make this recipe vegetarian.